Emphysema results in narrowing of the small airways due to inhaling of cigarette smoke and other noxious particles. Oxygen therapy, corticosteroids, and bronchodilators increase the risk of pneumonia, arrhythmia, and fractures in the long term. Therapy with human embryonic stem cells resulted in improved symptoms of a patient with emphysema. 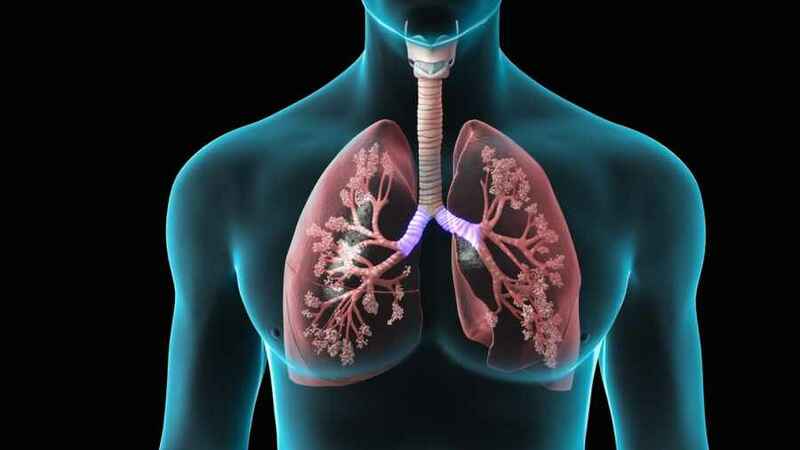 Emphysema is a phenotype of COPD 2 and is among the leading causes of deaths in most countries. A 52-year-old male was admitted at the Nutech Mediworld on 6 August, 2012 with chief complaints of shortness of breath, pain radiating to the neck, increased cough and wheezing especially at night and after getting up from sleep for the past 9 months. The patient and his wife noticed that he had increased shortness of breath after mild physical exertion (like walking). A visit to a local physician revealed that he had emphysema COPD with not much hope of a cure, and only symptomatic treatment was given. The patient was given hESC therapy as a primary treatment at our facility. After 101 days of the hESC therapy, the patient showed an improvement in symptoms like absence of cough and phlegm. His sleeping and overall stamina also improved. A CEST of chest performed after the therapy on 25 September, 2012 showed paraseptal emphysematous changes in bilateral upper lobes and rest of parenchyma appeared normal. He was also able to completely quit smoking during his stay at our facility. On his last follow-up on (2014, November), he did not report cough, phlegm, or wheezing, was able to work full time and to walk long distances.